We provide on-site training for our products but also more in general on how to acquire, calibrate and process multibeam data. We provide On-Site support around the globe. We can help you with your survey software setup (Hypack, QINSy), hardware setup (Multibeam Echosounders, GPS, Motion sensors) and if required some rowing! 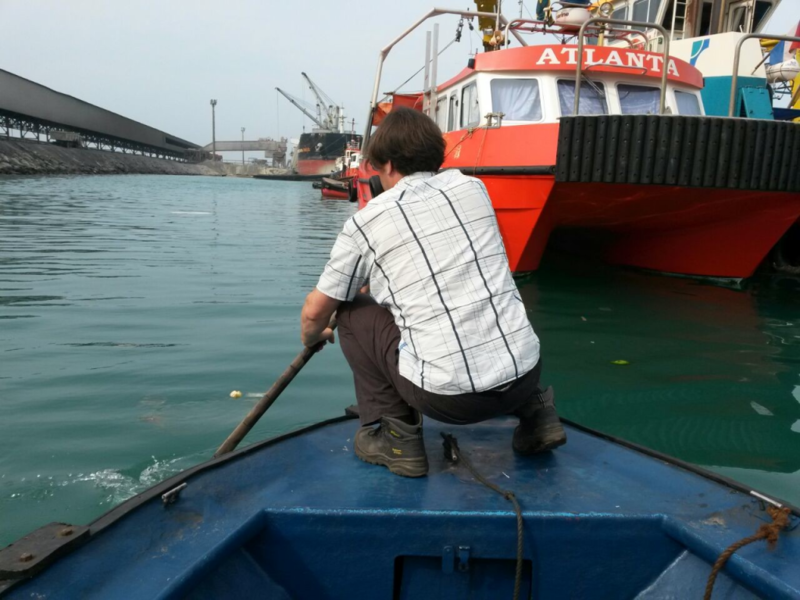 We have over 20 years of experience in Hydrographic Surveying and Vessel mobilizations. We can help you setup, calibrate and troubleshoot your system setup. We can also provide training on how exactly to perform multibeam calibration with the AutoPatch program. We have experience with many different systems including the major brands, Reson, Kongsberg and R2Sonic. Looking for that special program that no one can deliver? We can help you make that program! We have over 15 years of programming experience on the topics of hydrographic data acquisition, processing and multibeam system interfacing. Need a custom software solution? Please forward your requests by email and we will give you a quote.